After the journey to Judea, the birth of the child in a stable, Mary and Joseph take their baby to the temple. “This child will cause many to rise and fall, many will oppose him, he will reveal the secret thoughts of many, and a sword will pierce even your own soul Mary”. Not exactly encouraging words, spoken by someone you don’t know, who knows your name. But then there have been many unusual things surrounding the birth of this precious child. Sometime later expected guests appear at their door. These guests are obviously royalty, distinguished foreigners, evidenced by the great company traveling with them, and the gifts they bring. But these men came to worship a baby, born as King of the Jews. The gifts they gave were exceptionally good gifts. Mary and Josephs son would be all these things. The Bible does not record Mary and Josephs reaction to these events. We know that shortly after they would flee to Egypt to protect the child. But I can’t help but think that these unexpected events gave Joseph and Mary a glimpse of God’s hand in their circumstances, and hope in the days ahead. Whatever situation you might need hope for today, the same God who provided hope for Joseph and Mary, can do the same for you. It might come in a way you do not expect…. 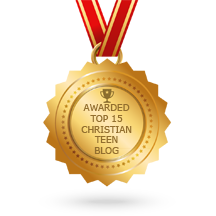 This entry was posted in A CLICK A BLESSING TODAY, Christian Teens Blog JF, CHRISTIAN TEENS BLOGS, Christian Teens Blogs - He is my Peace, Christian Teens Blogs - He is my Peace, Light and Refuge, SHARING STRUGGLES, WONDERFUL WORDS OF LIFE and tagged hope. Bookmark the permalink.